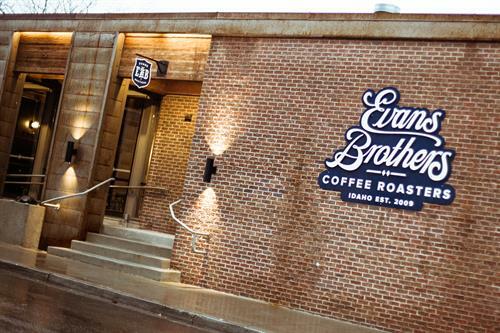 Evans Brothers Coffee was founded in Sandpoint, Idaho by two brothers, Rick and Randy Evans in the summer of 2009. We developed our vision over long rides on Chair 6, skiing at Schweitzer Mountain Resort. 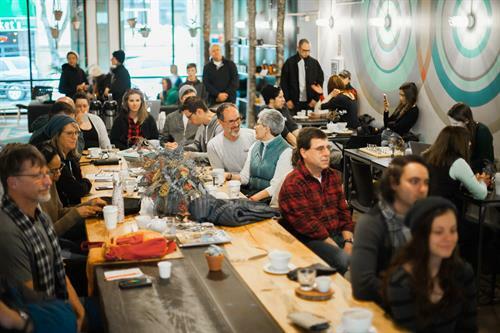 We wanted to bring a new experience around coffee to our region, to create deep connections throughout the supply chain, and to bring value to the communities where we work. Our Cafe adjacent to the Roastery in Sandpoint started around 2011, and became so successful it placed Top 3 America's Best CoffeeHouse at Coffee Fest Portland. Opening our second shop, in Downtown CDA, has been our vision and dream for several years. Our coffee selections rotate based on optimal harvest seasons. We focus on organic agriculture and socially responsible sourcing, going above and beyond in our efforts to celebrate the uniqueness of various origins, individual coffee farms, and the people who produce our coffee. We emphasize traveling directly to origin to connect with producers, selecting unique micro-lots that score the highest on the cupping table. Our roasting style compliments and highlights these distinctive qualities. We love sharing our passions with our customers and our communities as a whole. Thanks for getting to know us!